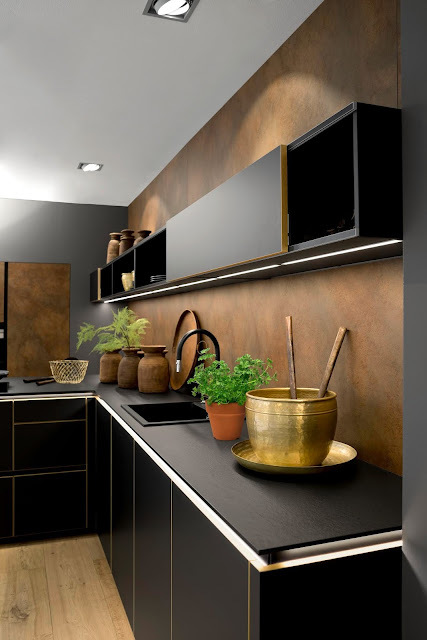 Nolte India: The Flair Ferro Kitchen - A truly magnetic choice! 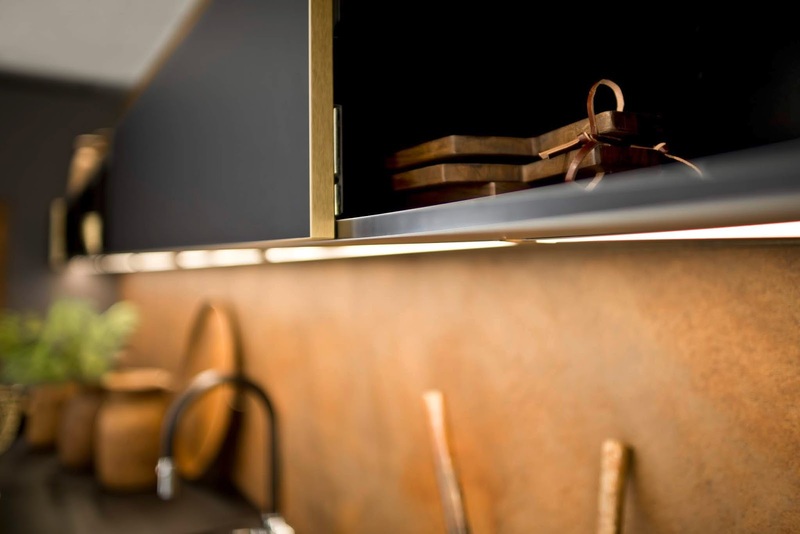 The Flair Ferro Kitchen - A truly magnetic choice! If you have a FERRO kitchen, it is quite obvious why your guests are in awe. A kitchen oozing with flair with its exciting combinations. A real looker you won't find anywhere. 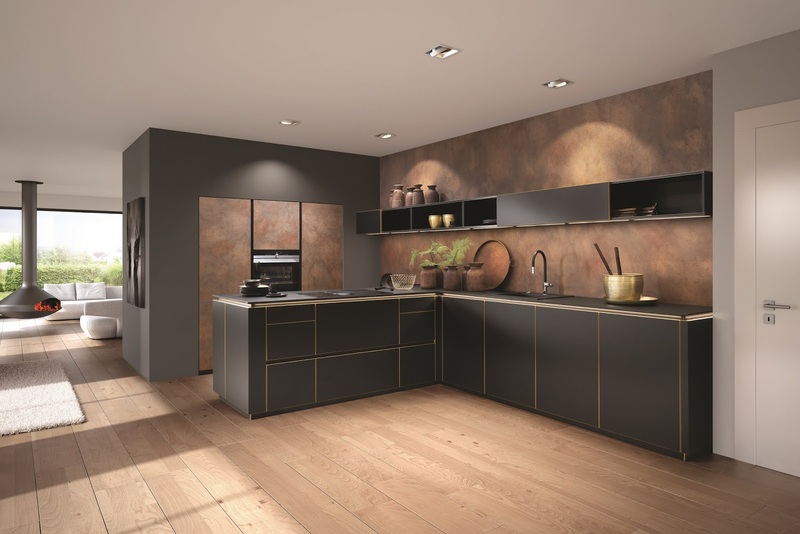 The handleless FLAIR black soft matt combined with the FERRO in unusual corten steel finish combines elegance with comfort and high functionality. The MatrixArt base units at the end of a row provide practical additional space for keeping smaller-type utensils. Tall wall cabinets, with integrated appliances and dual storage provide convenient storage space for the smaller things in everyday life. 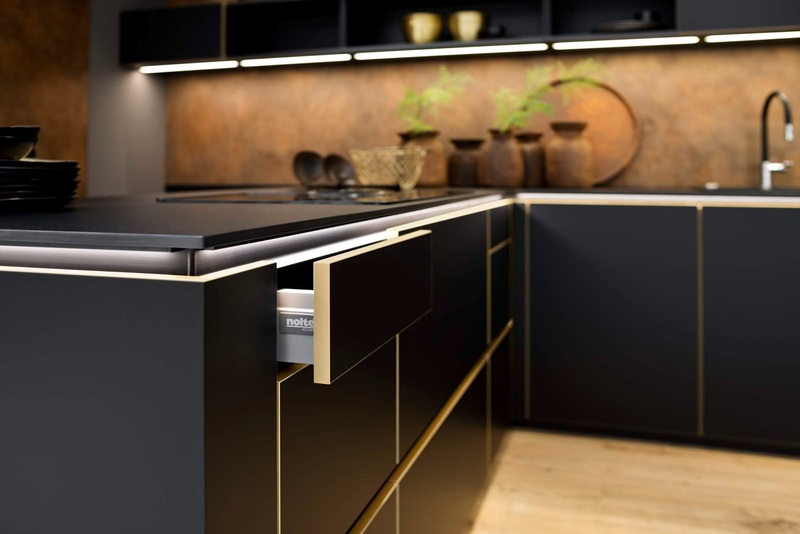 Clean lines and distinctive details, like the edges in brass look, as well as the illuminated MatrixART finger pulls, heighten the charisma of this impressive kitchen. The combination with FERRO in Corten steel is the perfect complement, with a matching splashback adding the finishing touch. 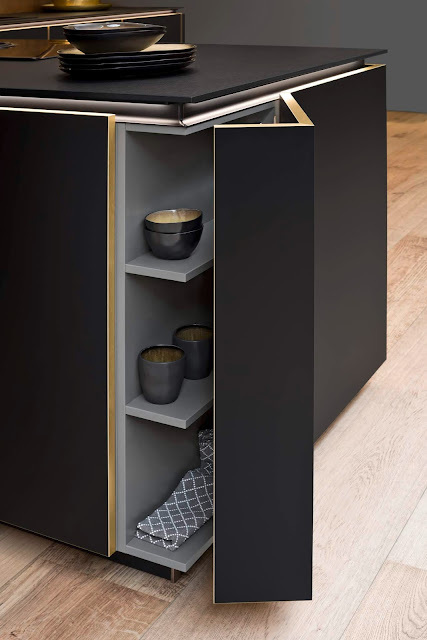 A slim horizontal wall cabinet creates novelty in the space, with a bold, open shelving unit in metal and wood. The open shelf wall units with sliding doors are a practical combination of space saving elements. Let's say Nolte would call it "The fertile design sophistication of the organic."